The Essex Region Conservation Authority has issued both flood watches and warnings for Sunday. A flood watch has been issued for Leamington. They say that flooding is occurring on the east shoreline of the town. 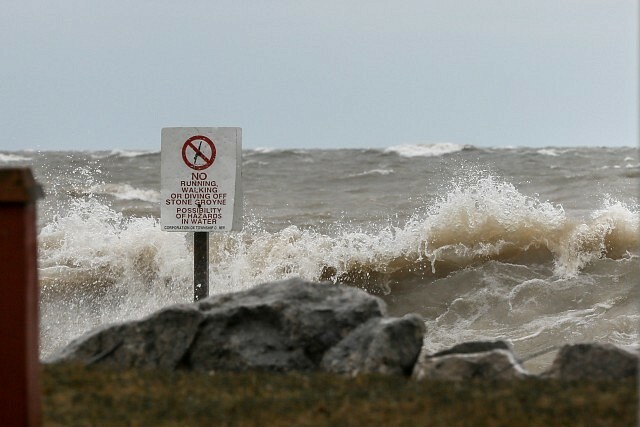 In addition, damaging waves, splash and wave overtopping is occurring within this area and the north and east shoreline areas of Pelee Island. A flood warning has been issued for the Town of Kingsville, the Town of Essex, and the Town of Amherstburg along Lake Erie. For the municipalities along the Detroit River waves will not be an issue, however elevated water levels may affect dock facilities and unmaintained breakwalls.